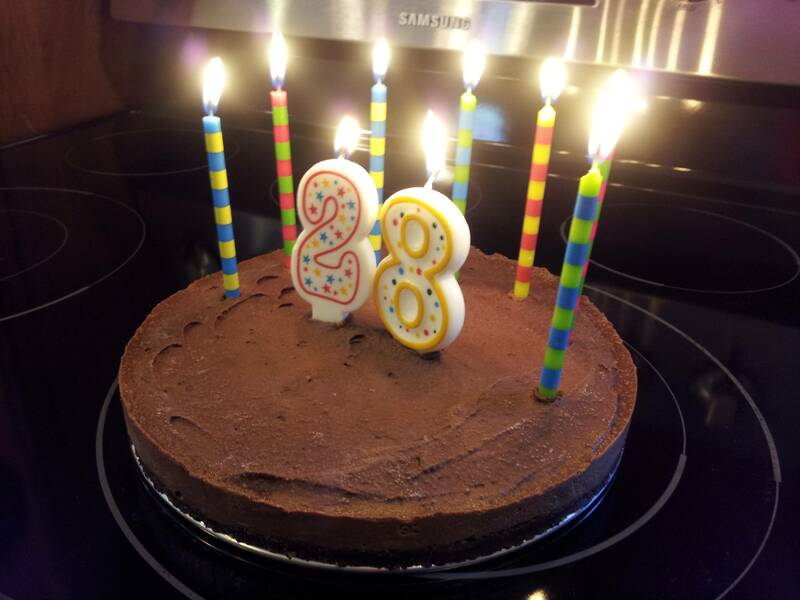 Today is my husband’s 28th birthday, which also happens to be his first vegan birthday. I’d say it went wonderful as far as cake and food. He wanted coconut curry, so I made a big batch of that. 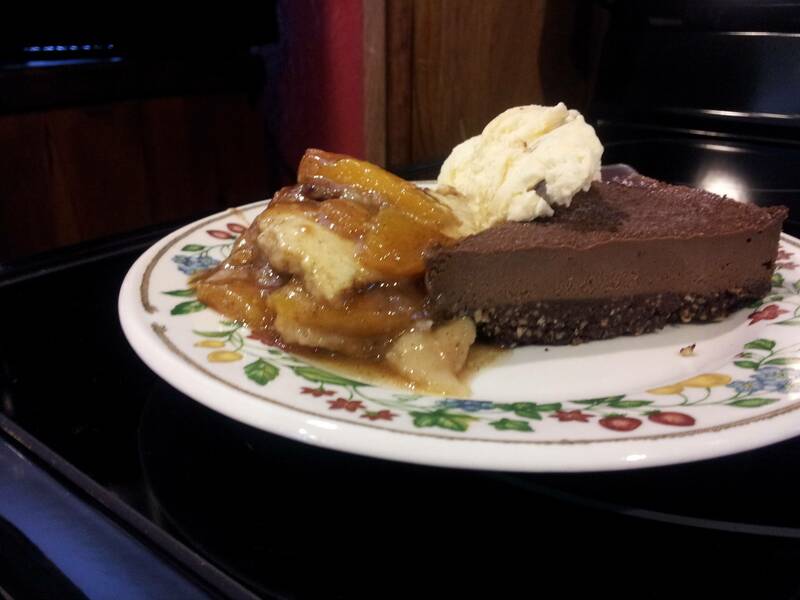 In addition I made a peach cobbler, and a chocolate cheesecake. They were both delicious.. but together? Side by side? Yeah, they were unstoppable. We also had some almond bark ice cream on the side which didn’t hurt. Now I have my 21st birthday to plan that’s two weeks away, and I know one thing for sure so far.. There will be strawberry. I actually ended up not writing a recipe myself for this cheesecake. I got super busy and found this nice and simple recipe that was too good not to try. Next time I will do my own thing with it when I have time to dabble , and now I have a good idea of how to get a desirable texture. The texture of this cake was spot on. It’s everything you’d want out of a cheesecake. Blend all of the ingredients together in a food processor until the mixture sticks together. Press it into your pan that you will be using. I used a springform, it worked great. Set aside. ** This cake is more on the rich chocolate side, so if you want a sweeter cake, you will want to add at least 1/4 cup of sugar or so. Soak your cashews for about 10 minutes and then rinse them well. Place cashews into blender with maple syrup, vanilla, and water. Blend until creamy. Add in your cacao powder and coconut oil and blend until creamy, scraping the sides every few seconds to ensure best blending.